well, i am finally back home. i feel rested and delighted. i intend to back-blog all my advenures since christmas but for now i'm just trying to warm up as it is so freaking cold out here. 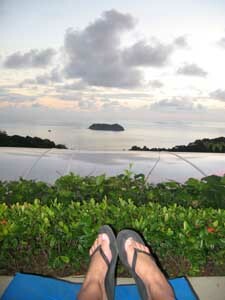 The picture above is from the beginning of my trip -- i'm looking out from the pool deck at Si Como No in Manuel Antonio.